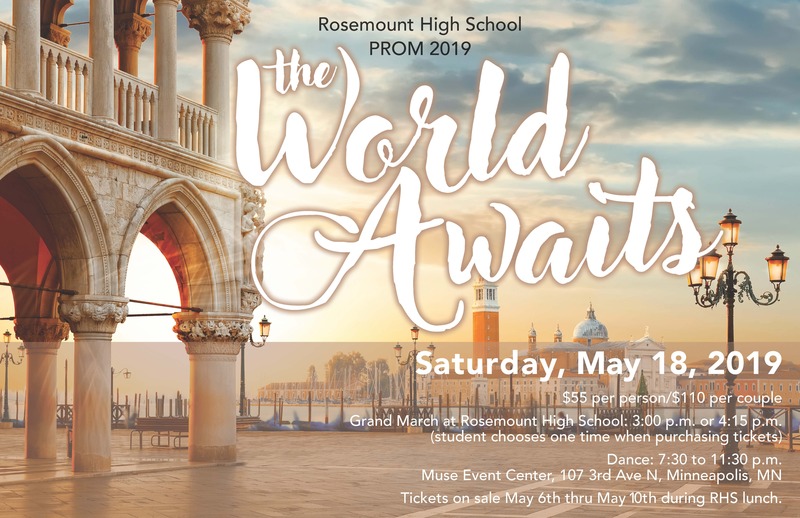 RHS PROM 2019 - "Night of Enchantment"
$55 per person / $110 per couple on sale May 7 - May 11 during RHS lunches. Cash and checks accepted. Make checks payable to RHS. Students must have tickets to be admitted into the Grand March and Dance. Prom informational packet with details on additional information regarding grand march, parking / valet and what to expect at the venue. See Ms. State, Mrs. Chumley or Ms. Zarghami.